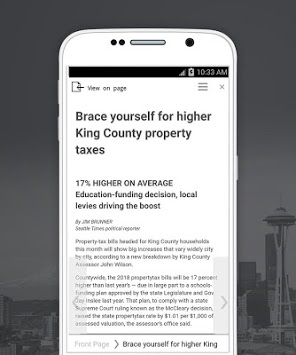 Complete with comics, photos, columns and more, The Seattle Times Print Replica app lets you page through The Seattle Times exactly as it appears in print. 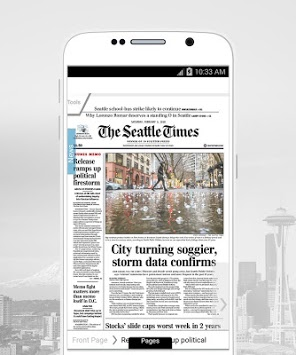 If you have a print or digital subscription to The Seattle Times, you get free unlimited access to the Print Replica app. 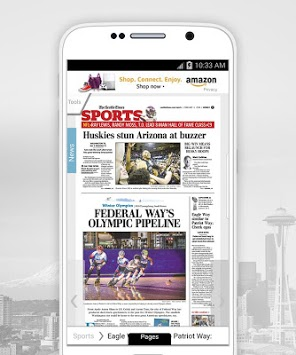 - Keep up with The Seattle Times on vacation: Read the day’s paper and up to seven days of back issues. - Easy to read and navigate: View a full table of contents and most-read stories, and easily skip to the section you want. - Download pages to read later: Easily save pages as PDFs so you can read or print them without Wi-Fi.